If ever there were an instance where a fighter had reason to beef with a promoter, Matt Lyall has all the justification in the world. 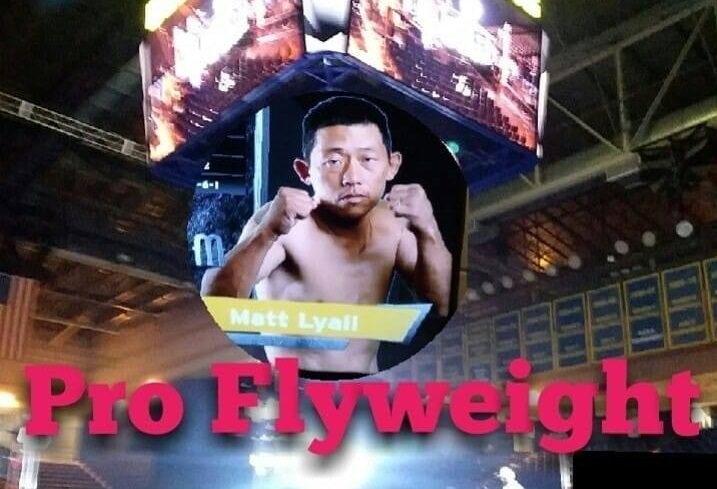 This past weekend chaos erupted at the University of Delaware’s Bob Carpenter Center where Lyall was to make his professional MMA debut. “Lightning” Lyall, an Atlantic City, New Jersey native was to take on hometown favorite, Brandon David in the co-main event at the inaugural Diamond World Fights event. That bout, nor any of the evening’s other scheduled fights, took place. Lyall tells MyMMANews that most everything that led up to fight day seemed off. Everything from his opponent missing weight, scales being moved, medicals not being processed correctly, bounced checks, and more. With the drama of Diamond World Fights behind him, Lyall wants to continue his path towards competing professionally in MMA. For the husband and father of four, there is no other place to do it than in his hometown of Atlantic City. After earning two title in Muay Thai and comprising a record of 18-6-1, it is time for him to move to MMA where he can showcase more of his skillset. When you look at the landscape of the MMA scene there in A.C., Lyall has two major promotions to choose from. “I could walk to the Tropicana (Casino), that’s how close I live,” Lyall said. Lou Neglia and Frankie Perez are notorious for holding their brand, Ring of Combat, at the venue. Then there is Cage Fury Fighting Championships, another promotion with a long track record of propelling regional fighters into the UFC. CFFC returns in December and is well-known for holding events at the nearby Borgata Hotel and Casino.